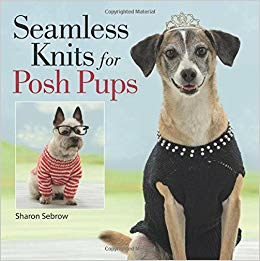 Enjoy fun-to-knit patterns that let your dog step out in style. Pamper your pooch with knits ranging from a little black dress - complete with pearled neckline - to a doggie hoodie. The sweaters come together easily; most are knit from the top down. And when you finish knitting, you're really finished - no seams to sew. Just put it on Fido and go! Find 14 stylish sweaters for dogs from 8 to 25 pounds.